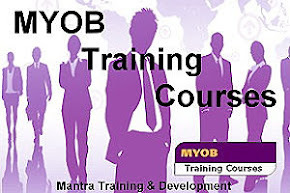 Mantra Training & Development: The power in language! This saying has been around for longer than I can remember and probably longer than my father has been around which is 67 years this May. Like a lot of other saying that really don't make a lot of sense or are so far from the truth and this one is right up there. No matter how old you are you can learn new tricks in fact you can achieve many great things. Just take a leaf out of Louise Hay book, she is a great example of a woman who went through many tragic experiences as a child and teenager and then recovering from Cervical Cancer as an adult, at the age of 70 she founded Hay House publishing and is living an extraordinary life. At times our language can trap us into limiting beliefs, stopping us from reaching our true potential. Think about when you use the word try, I will try and get there, I will try and make this work, I will try to call you. This is one of the worst words for ensuring you have a good excuse, Rather than saying I’m not going to make it, or I don't want to attend or I can’t call you today. This language would free us from guilt and release us from great pressure at times. What about the language of, I’m not smart enough, I’m not tall enough, I’m not educated enough, these limiting beliefs can stop us from going after what we deeply desire. Listening to your language can bring about a greater awareness and then you have the ability to change the negative language to a more positive language. This brings about a more positive emotion which can reinforce what you want to achieve opposed to what you think you cant. Simply reminding yourself and say “I can do this opposed to I will try. I am smart enough to achieve this, look at what I have done so far. Lets not forget about the language we are using in our head, the language that no one else can hear. This is just as destructive as we say this without anyone knowing we are. Listen to your self talk, is it limiting you from your true potential? This can be more harmful than what we say outside to others. The next time your language in your head is negative and limiting, instantly change this to what you really want and watch the changes occur. Think about your language over the next few weeks (both internally and externally) and see where you can become more aware of using better, stronger and more positive language to get you moving in the direction of where you want to go. Then think about what you want to achieve and don't let your language or limiting beliefs hold you back. Visit our website http://www.mantratraining.com.au/ and see what we have to offer or come and talk to us about creating language that supports your future. Or read about my journey to Kokoda, it was a year ago today that we walked proudly into the Kokoda Village......this was a time where my self talk got me through some very big challenges and I succeeded. It was one of the most rewarding things I have ever done and had my self talk not been in check I would not have succeeded. 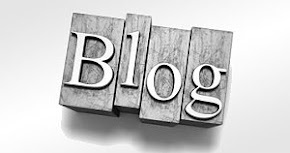 First You got a great blog .I will be interested in more similar topics. i see you got really very useful topics. Mantra Training & Development Newsletter! "Your Future - Your Choice"
Every month you will learn about our future training courses, see our specials on offer and read the latest blog. A Strategic Approach To Developing Skills! Growth – Professional Vs Personal! Blog Post from the CEO! Industry Standards and Keeping Up! Expand your mind with a good book. How many professional development or continuing education courses have you taken in the last two years? "...Government funding to employ a trainee seemed just a little too good to be true but thanks to Donna and her team we are under way and now looking at employing a further two trainees..."
"...Completing a certificate in training is something I have wanted to do for a while, so when the opportunity to participate in a government funded Certificate IV in Training and Assessment came up, I jumped at the chance. I look forward to undertaking additional training at Mantra Training & Development in the future..."
"...As we are a new business, we were hesitant and not expecting Government benefits to apply – Donna stepped up and explained the entire process so now we only have to employ a trainee, and Mantra Training & Development takes care of everything else..."
"...Mantra Training & Development have provided an exceptional facility in which to undertake this course. The instructor was able to articulate and clarify often obtuse concepts and structures, and has provided me with support throughout the course well beyond my expectations. 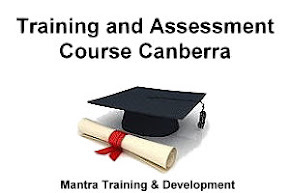 I look forward to undertaking additional training at Mantra Training in the future..."
"...I found the experience of completing the Certificate III in Business Administration Traineeship very enjoyable as I could work on it in my work place. It helped me to understand my role in the workplace and also helped me to learn new skills to bring to papercut. I am now more educated in workplace practices and am thankful for the experience to be able to learn more. All the staff at Mantra were very helpful and reliable throughout the process and I am pleased to have worked with them ..."